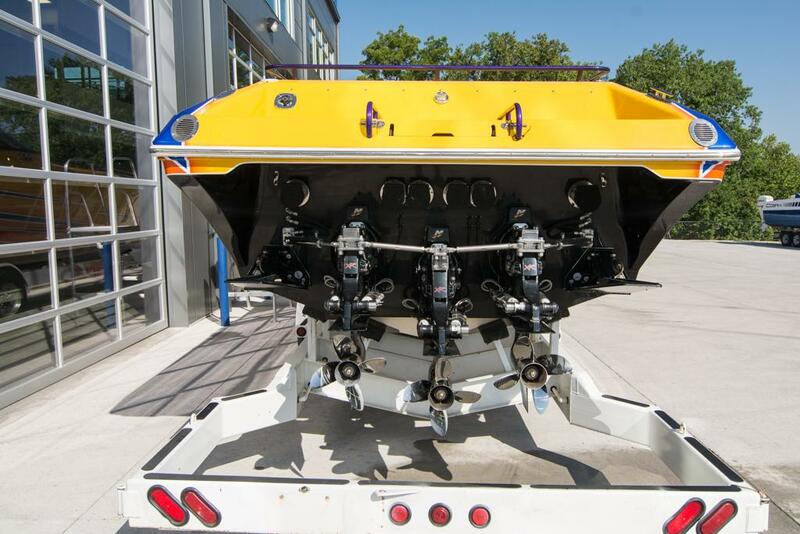 2006 Fountain 47 Lightning, Triple Mercury Racing 525 EFI (full service and compression test done - headers pressure tested), XR Drives (all three drives gone thru to include new gears, bearings, shafts and seals), Bravo I 32 pitch props, hydraulic steering, mechanical drive/tab indicators, Westerbeke gen with 240 hours, hot water heater, cockpit carpet, Garmin GPSmap 740, depth finder, 280 K planes, AC/Heat, shower power, frig, stove top, vacu flush head, cockpit cover, triple axle Myco goose neck trailer with drive guard included. 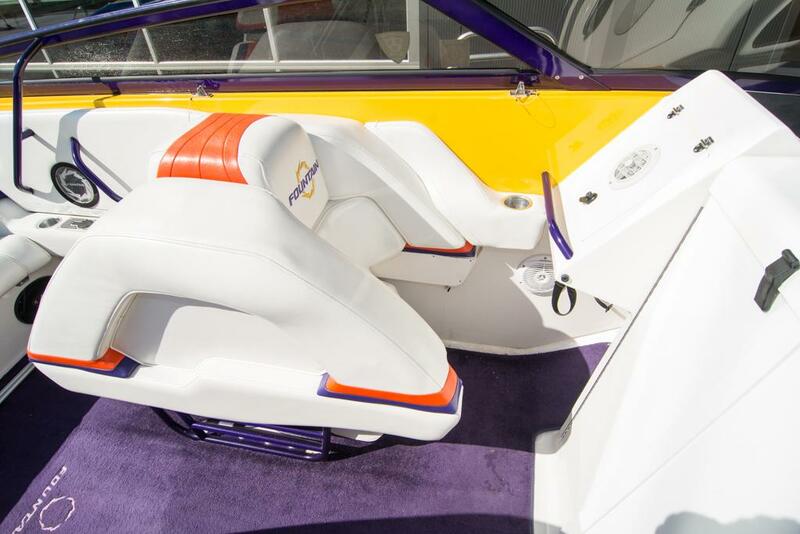 Cruise at 70 mph or blow past your friends at 88+ mph. 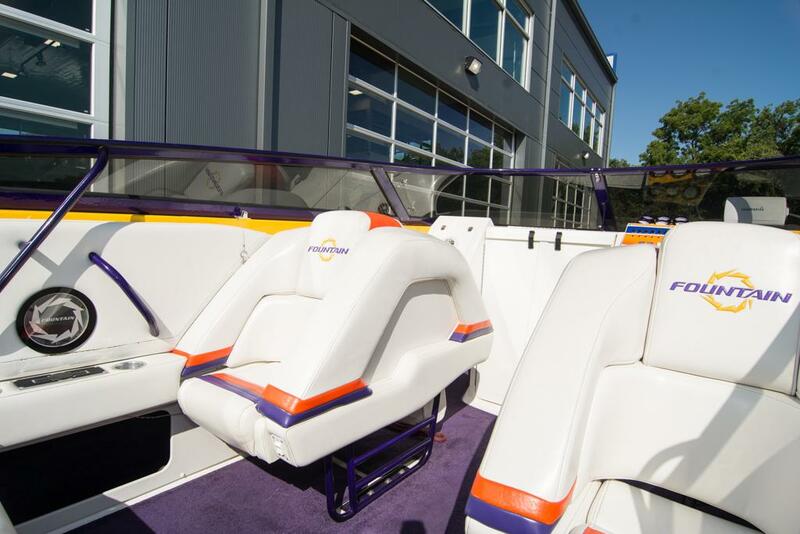 Pull into the best marinas first with all of the luxury of a waterfront condo. 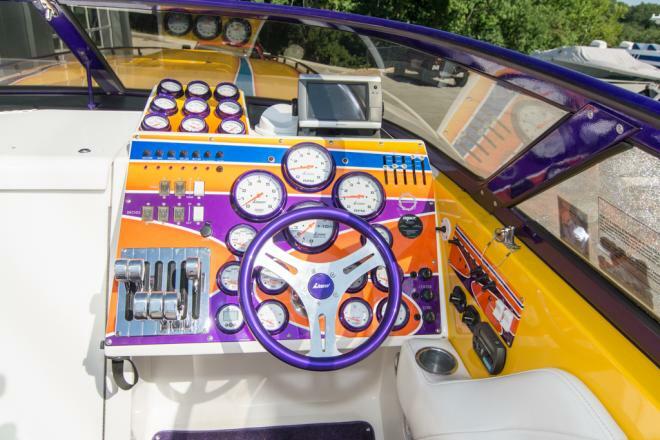 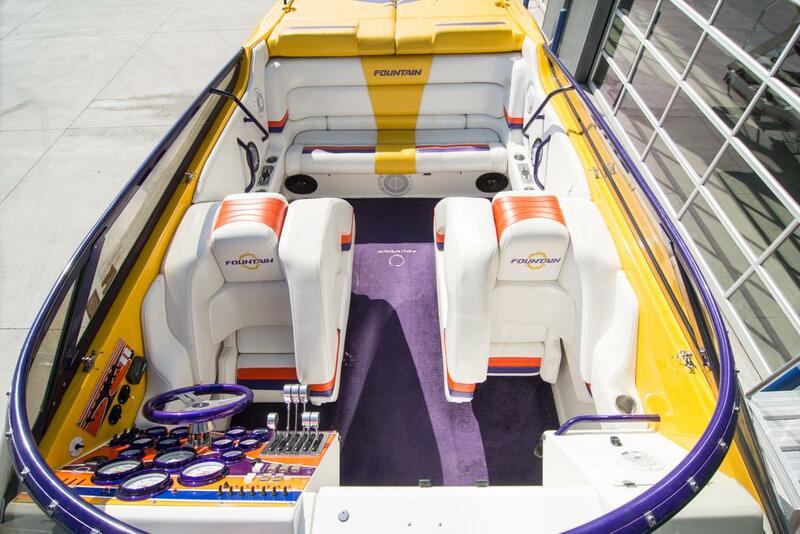 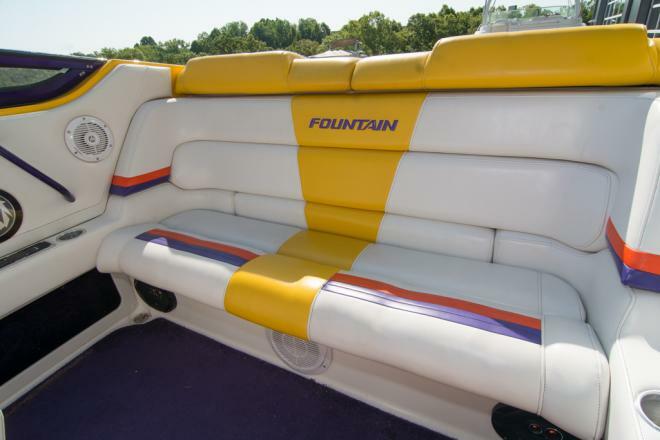 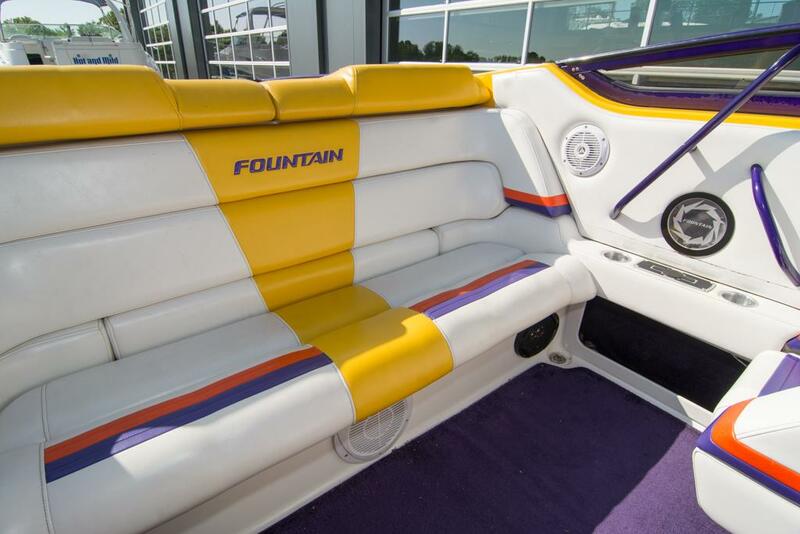 Fountain Mercury's 47 Lightning is the perfect combination of performance and comfort. 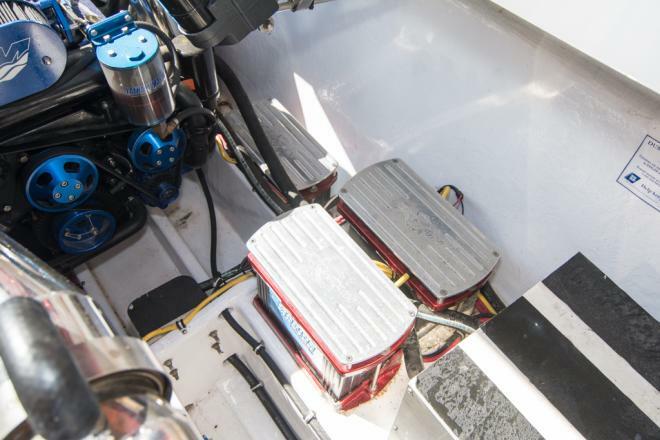 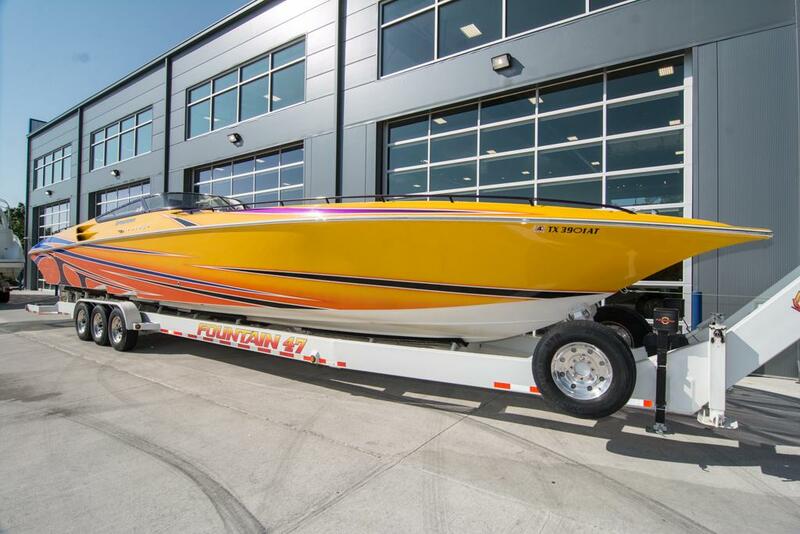 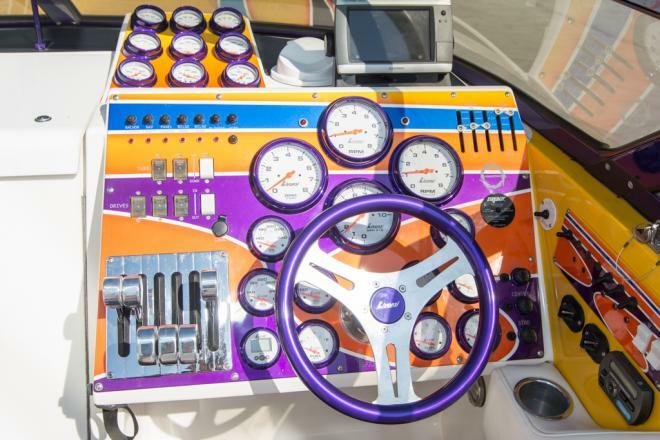 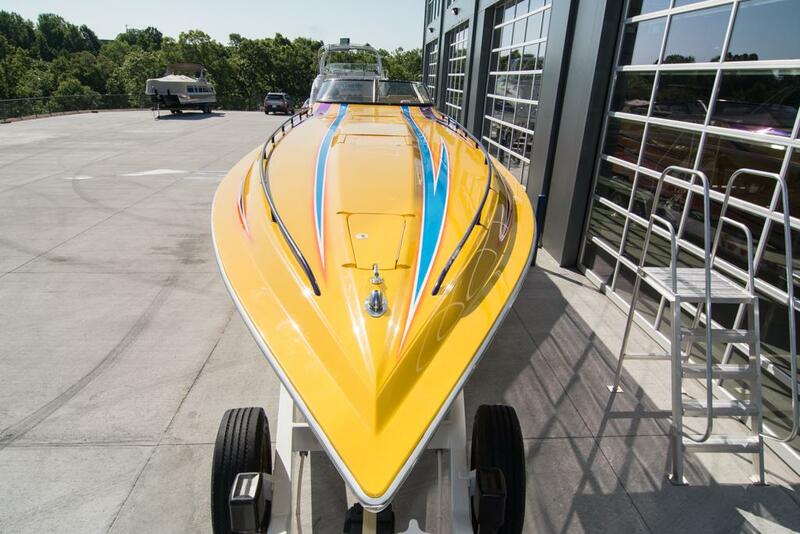 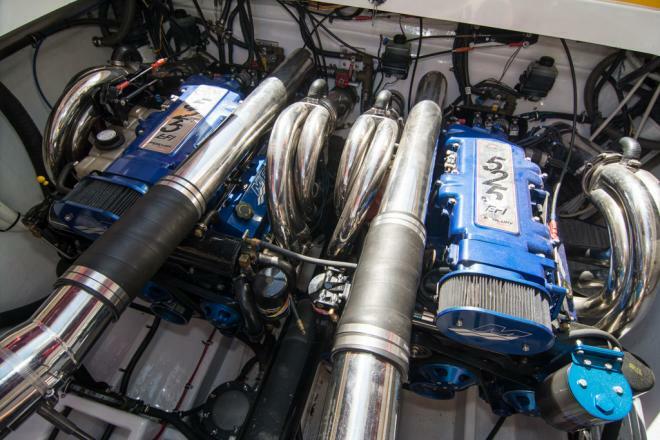 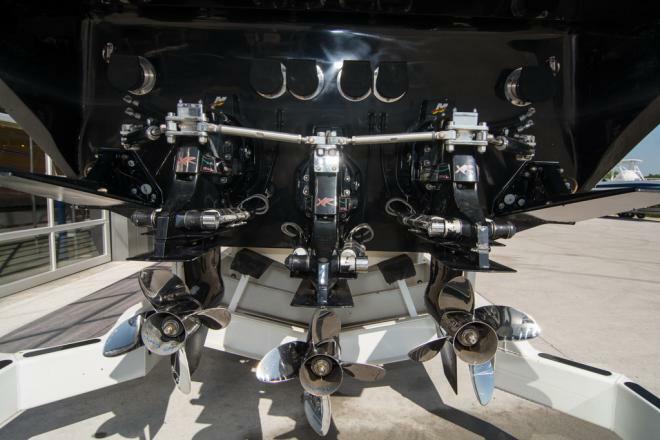 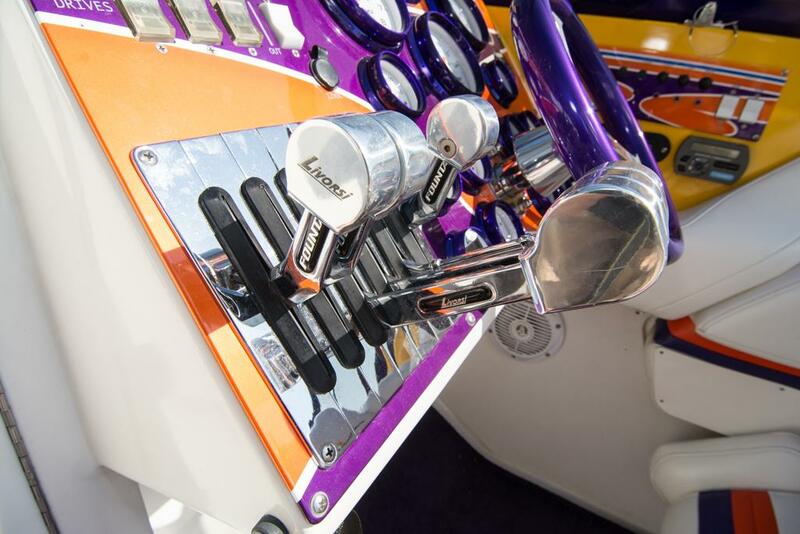 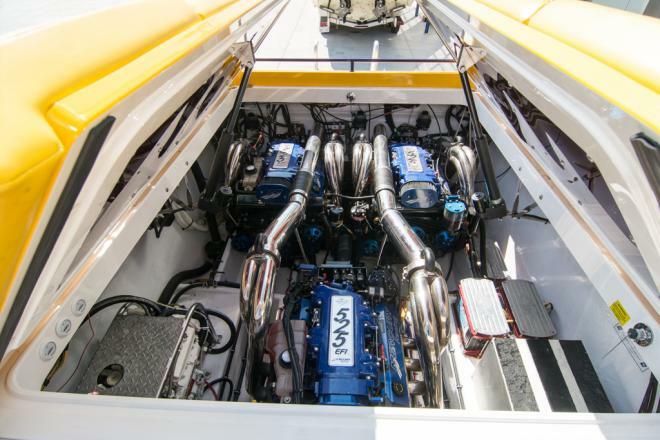 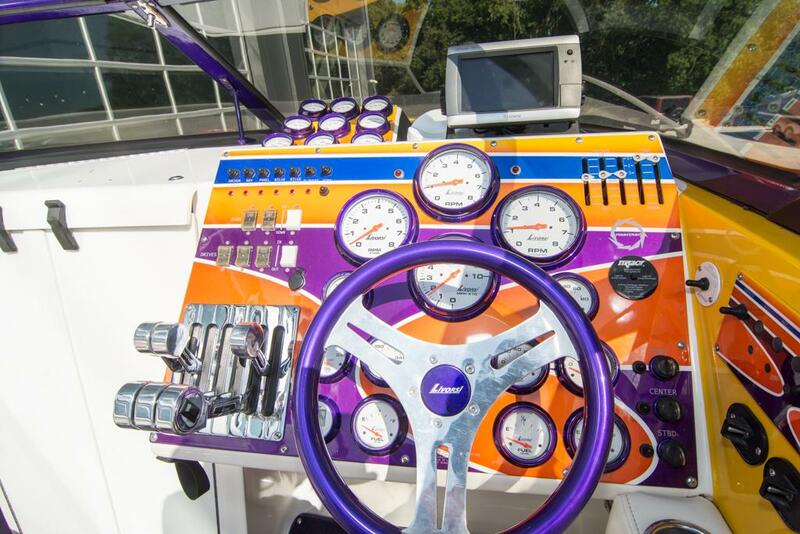 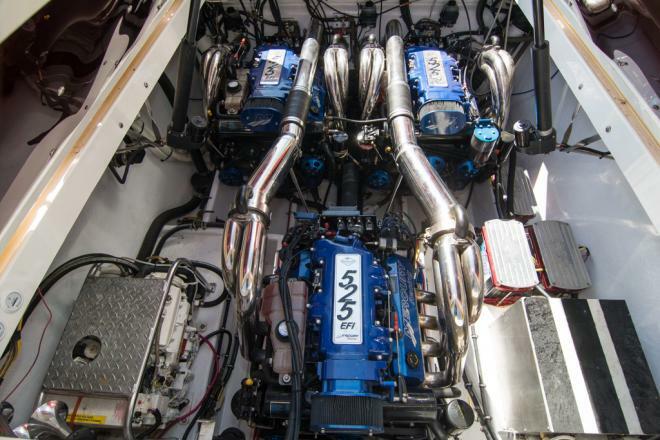 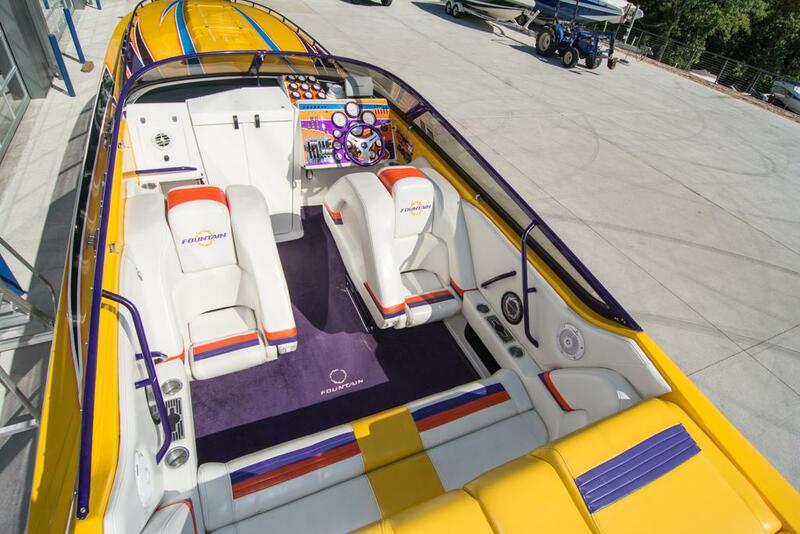 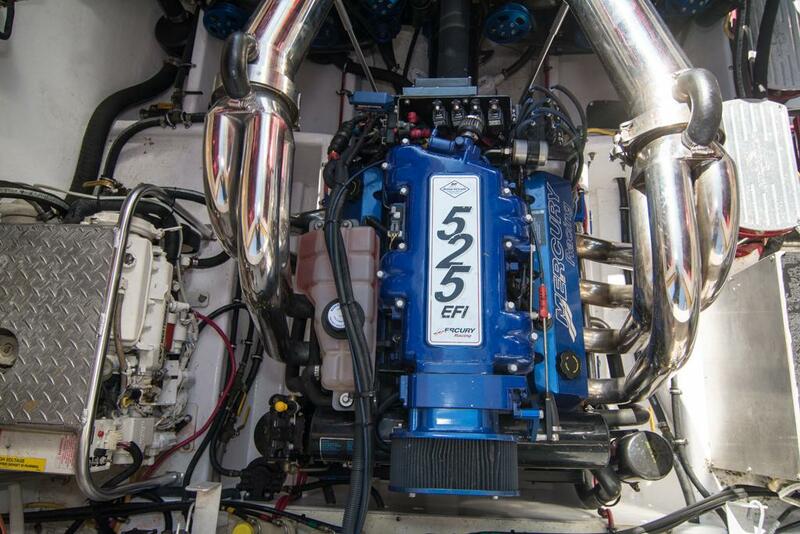 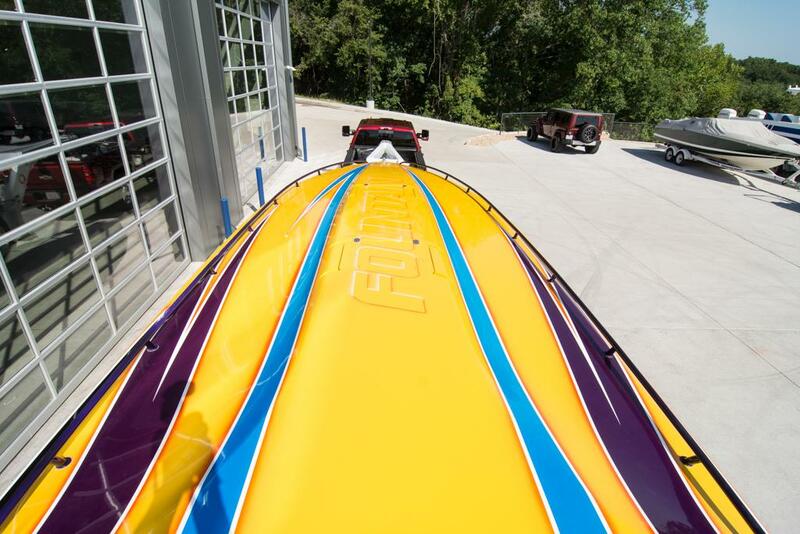 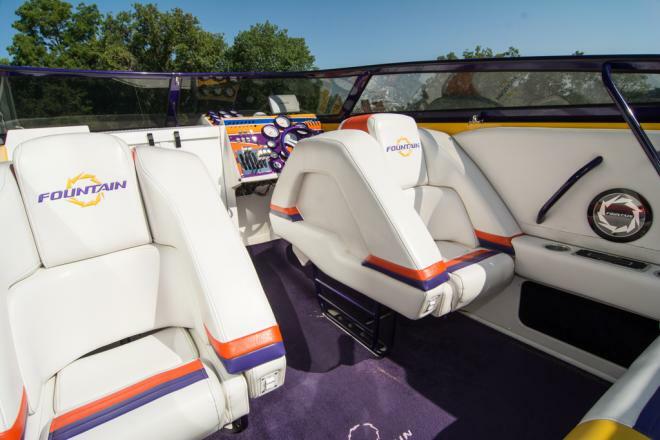 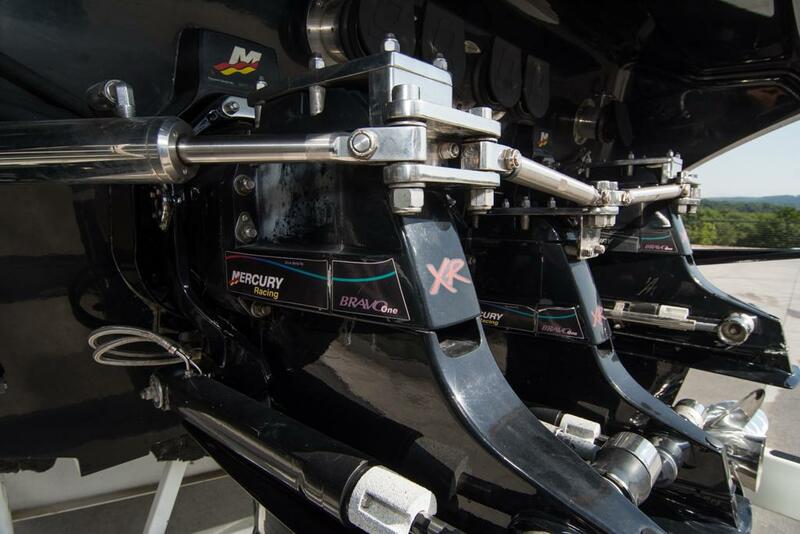 It's newly designed twin-step Positive Lift Hull and triple Mercury 525 EFI engines, combined with a 314 gallon fuel capacity, give you an incredible top end speed of 88+ mph, and the cruising capability to reach distant ports in record time. 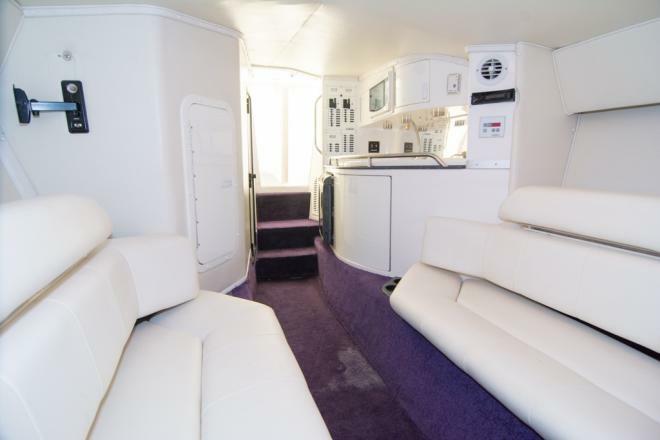 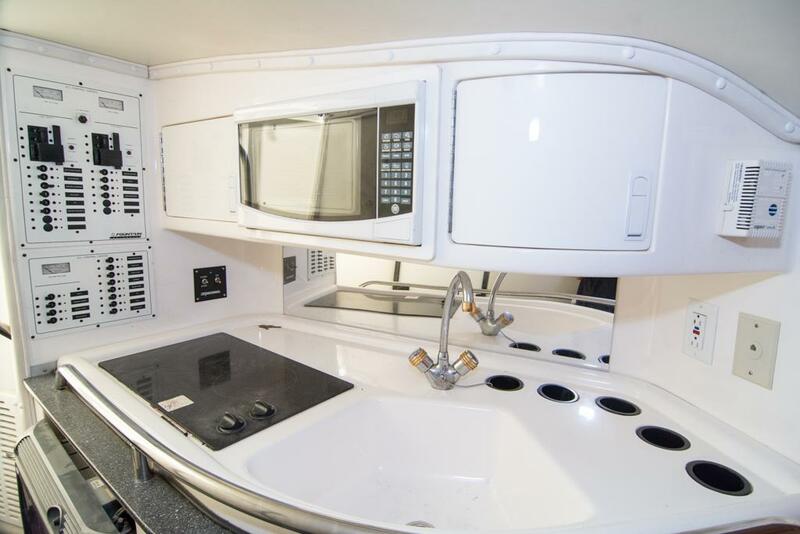 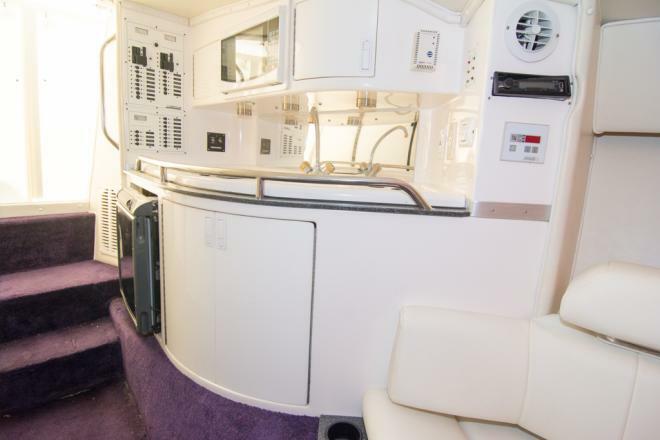 The cabin offers stand-up headroom and full galley with sink, fridge, and two-burner cook-top. 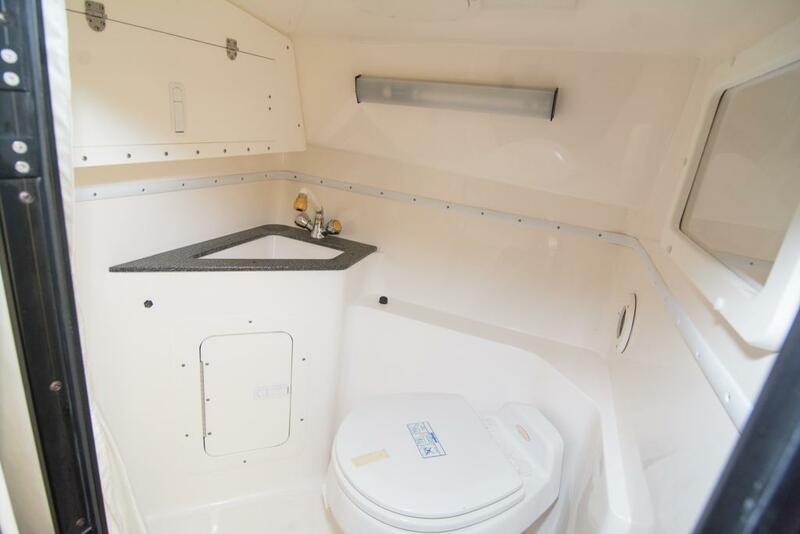 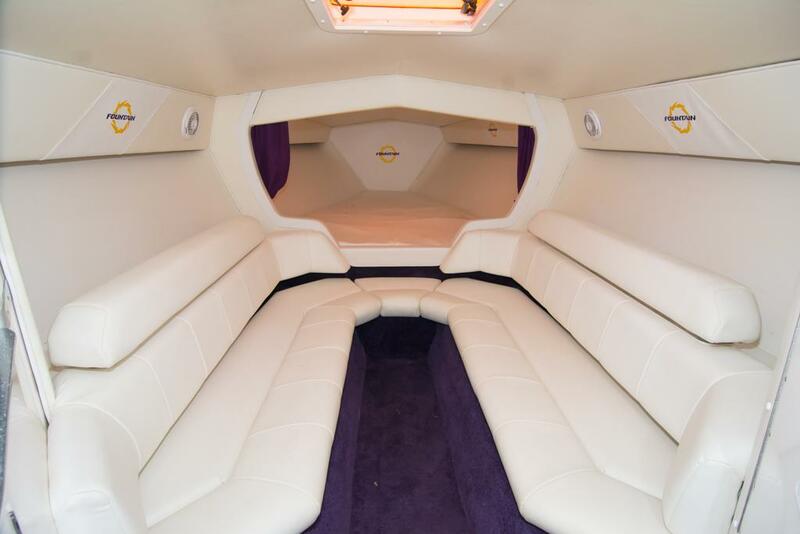 The fully enclosed fiberglass head is equipped with an electric toilet with dockside pump-out, and a pressurized hot/cold water system that lets you enjoy an onboard shower. 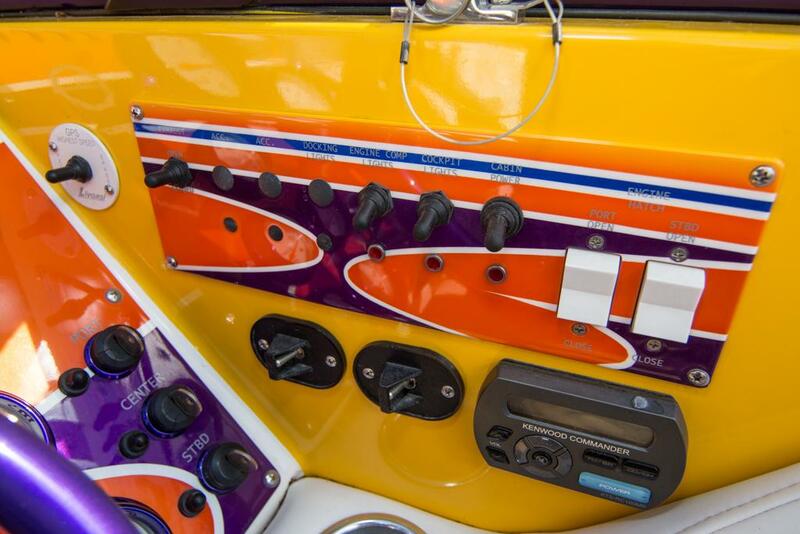 The sound system has an AM/FM/CD with tow sub-woofers, twin amplifiers, a 10-disc changer and six speakers. Topside features a newly designed cockpit, and an optional Bimini with three-piece enclosure helps extend your boating season. 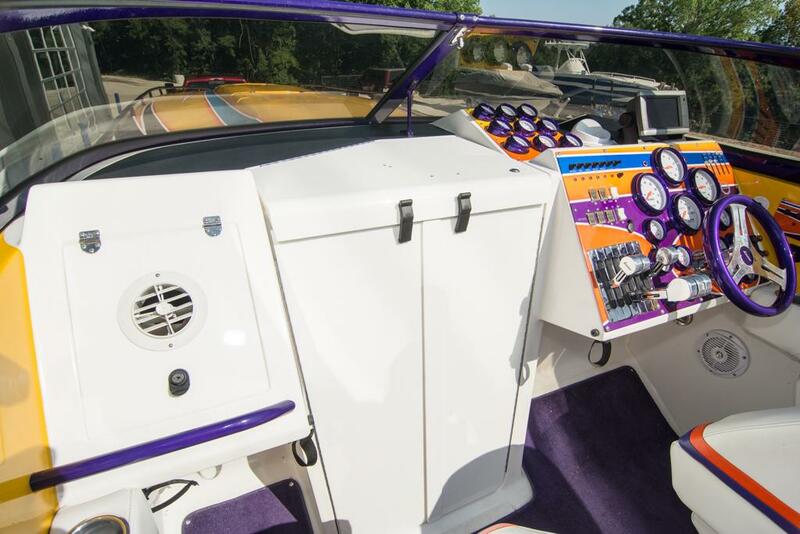 Turn your daylong trip into a short, pleasant cruise. 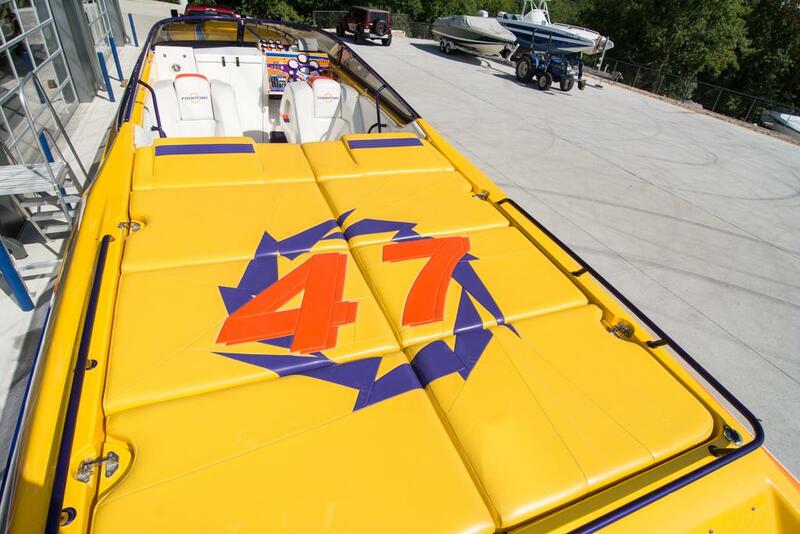 The 47 does it all, and at an affordable price.